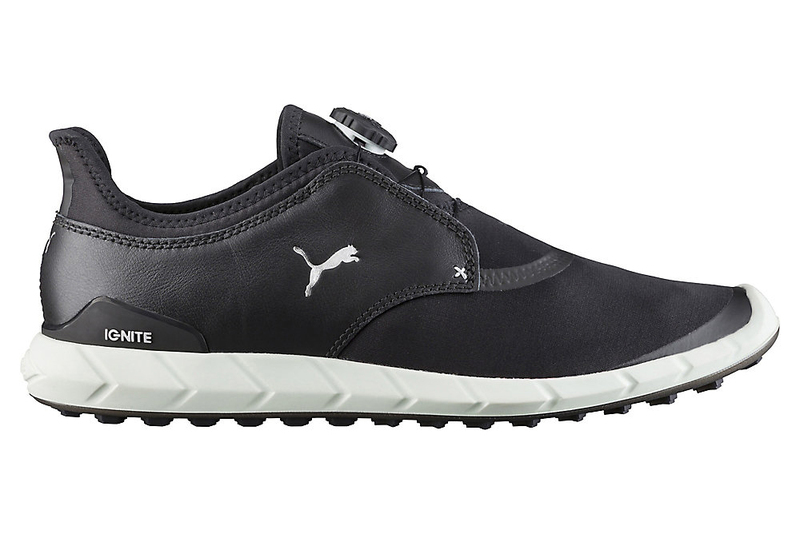 If you're looking for one of the lighest pair of premium golf shoes on the market that can be worn stylishly both on and off the course, look no further than the Puma Ignite Spikeless Sport Disc. At times you have to look down to actualy make sure you are still wearing shoes. The Ignite foam is like walking on a cloud. Ignite foam is great for the golfer who typically experiences aches and pains by the time they're trudging off the 13th tee. These shoes will give you that last bit of energy to get over the line. The best part of the shoe is its clever Laceless Disc Closure System - this provides a fully custom fit golf shoe with a micro-adjusting reel system that quickly adjusts to your foot for a secure fit and unrivaled comfort. 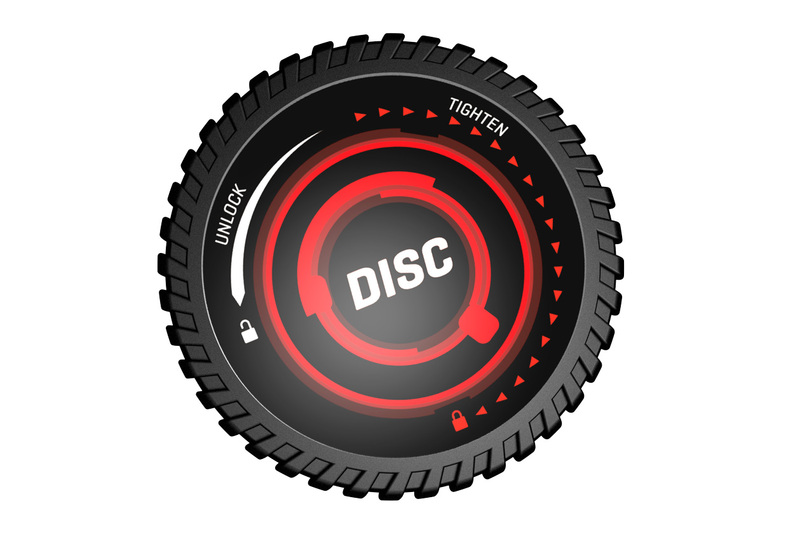 You simply turn the Disc for the perfect fit then release with one click the other way. Throw in a 360-degree tongue construction and you have one of the most comfortable spikeless shoe offerings on the market for this season. But these shoes aren't just exceptionally feather-like in their feel, they appeal to the eye and perform how you might expect for a premium pair of shoes worth £100. The shoe's sporty four-way waterproof stretch mesh upper combines with a premium leather to deliver a modern silhouette designed to help step up your fashion on and off the course. A total of 39 strategeically placed hexagons provide superb traction for a golf shoe that is so light, while 24 chevron lugs help increase traction where it's needed most in the golf swing. The beauty of these shoes is that they can be worn both on and off the course. While extremely light, you won't be going down like Bambi on ice given the strong levels of traction and support. For us, these shoes are a great fit for summer golf. While there is a one-year waterproof warranty with these shoes, we don't recommend you play in torrential rain with them. About the only slight niggle I could have is that if you get quite a bit of mud on the front sides of the shoe, you'll have a difficult task trying to make them look brand new again. 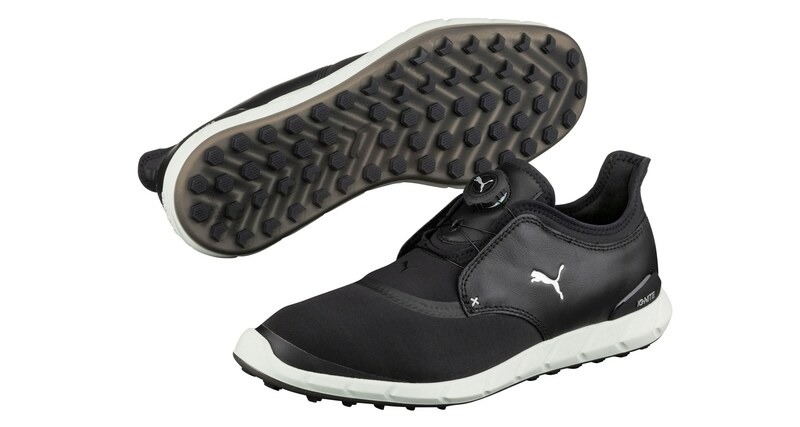 Well worth a look if you are seeking a light, stylish pair of premium PUMA Golf shoes for some sun-kissed golf. Puma Golf launches stunning Spring / Summer 2019 collection!